I offer a wide variety of massage services for individuals seeking therapeutic bodywork in a nurturing and professional environment. I specialize in deep tissue, trigger point therapy, sports, Swedish relaxation, Prenatal, and Craniosacral Therapy. Each modality will leave you feeling relaxed and replenished. I have been a practicing massage therapist for ten years and I look forward to the beautiful exchanges that take place with my clients. My intent is to help you reconnect with how naturally unrestricted you can feel. Each massage therapy session will be tailored to your requests that day with a variety of massage techniques. I am fully committed to assisting you improve your quality of life with therapeutic massage. The quality of work you experience here is of the utmost importance to me. When you arrive for a massage session you will find fresh linens on a heated massage table, quality massage oils and a wide range of essential oils they can be combined with for an aromatherapy experience. At the end of your session a hot towel awaits to refresh you along with complimentary chocolates as you head off on your way. I appreciate each opportunity to work with my clients and look forward to helping you bring balance into your life. * PranaYama ( with a “y”) is a breath exercise used with yoga to increase oxygen and awareness. * Prana is our life force, vital energy, or chi. 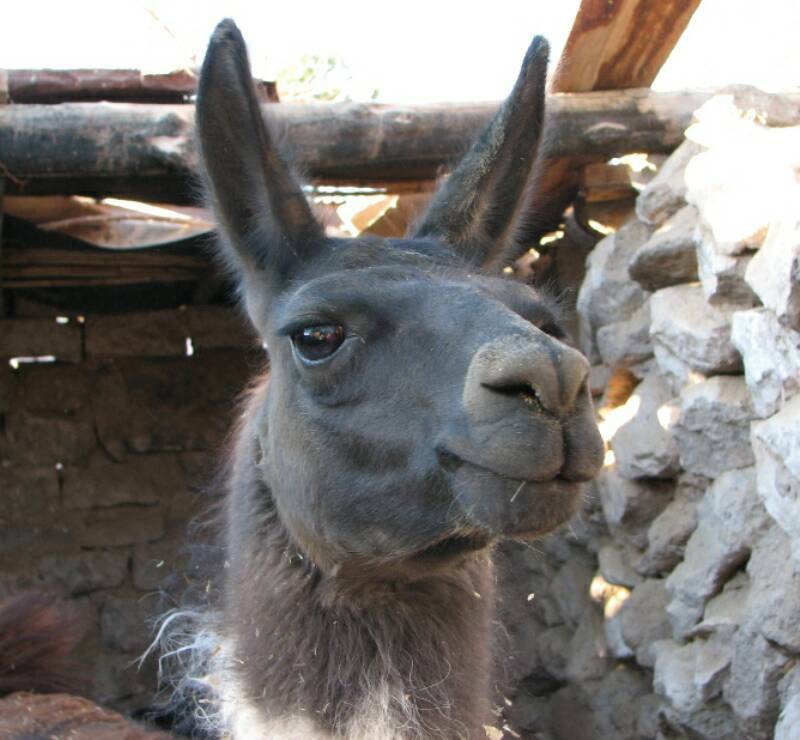 * The Llama is a typical Peruvian animal that Jimena has always been fond of who was available to pose. PranaLlama, your vital energy is calling you. 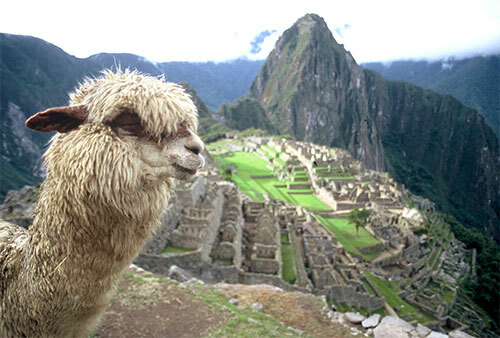 As a child, I fell in love with the llamas that I saw in the Andes of Peru, from where my family originated. Their image evokes the genuine joy reminiscent of my youth. I decided to incorporate my Peruvian heritage into the name of my massage therapy practice while I also sought to include an element of humor in portraying the importance of breath and bodywork. I consider myself to be light-hearted in nature; always admiring the play on words offered from so many Portland businesses. I hope to make people smile and laugh a bit since we can all be so serious. 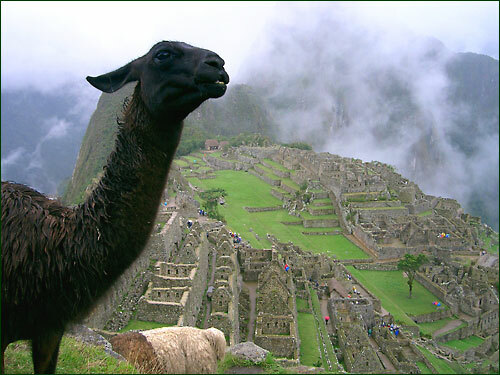 Thus came the image of a Llama doing yoga. The image of the llama revitalizing its Prana in downward dog is not only playful but acts as a reminder to allow ourselves a few minutes everyday to take a deep breath, open our hearts, and shake out our hips, ankles, knees, and toes. We each need to find a place on our “mat” where we can center ourselves, free ourselves of tension, and allow our minds to rest. We are so stimulated everyday alerting our central nervous system to be ready! We must adjust that message and turn inward with frequency to balance the negative effects of stress and over-stimulation from work and our responsibilities. Even taking five breaths in downward dog will renew connection with our breath and body. I invite you to take a break from your busy pace at Prana Llama Mindful Bodywork. Most of us have areas of our body where stress seems to reside. Your body and mind need time to rest and find some equilibrium. and providing specific detailed bodywork to assist your body to find balance. Allow yourself an hour or two to restore your body & mind.